Contents: Text and chart shipped to you. online multiple-choice test. Contents: Video, manual, chart and multiple-choice test all online. Contents: Text, chart and multiple-choice test shipped to you. 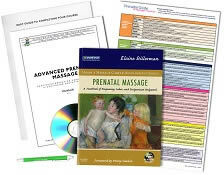 Already own the text Prenatal Massage A Textbook of Pregnancy, Labor, and Postpartum Bodywork? Call us at 1-800-364-5722, 9am to 5pm, to discuss your enrollment options. Summarize the historical relevance of prenatal massage and childbirth practices. Recognize the stresses on the mother and unborn child and discuss how massage therapy can reduce those stresses in both the mother and fetus. Identify the beneficial physiological effects of prenatal massage in reducing pain. Explain how miscarriages occur and what causes them. Demonstrate appropriate touch for abdominal massage and feet and leg techniques. Perform comfortable and safe positioning for the pregnant client during each trimester. Demonstrate draping for the client, safely turning the client on the table and moving the client on and off the table safely and easily. Differentiate between working with non-pregnant and pregnant clients. Demonstrate the set-up of treatment room, practitioner body mechanics, time allocation per treatment, safe use of essential oils and massage oils, additional supplies needed for a prenatal practice. Perform pretreatment evaluations to be done with a pregnant client. Predict the cultural and emotional impact on the woman as her body changes. Recognize the signs of depression during pregnancy. Identify the signs of and explain the significance of spousal abuse or domestic violence during pregnancy. Differentiate between the stages of fetal development and the physiological adaptations during pregnancy to the musculoskeletal system, including the core muscles, the cardiovascular system which supports the maternal metabolism, and the respiratory, gastrointestinal, urinary, reproductive, endocrine, neurological and integumentary systems. Assess for the symptoms of thromboembolism, preeclampsia, and other pregnancy related conditions. Explain the contraindications of acupuncture and reflex points. Summarize the factors of low-, moderate-, and high-risk pregnancies and how that impacts massage therapy treatments. 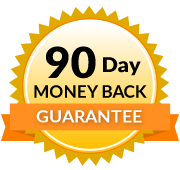 Demonstrate the protocol of treating clients confined to bed rest. Compile ways to support a client who is trying to become pregnant. Recognize the physiological changes to mother and fetus during the first trimester as well as the common complaints and massage therapy considerations during that time. State the physiological changes to mother and fetus during the second trimester as well as the common complaints and massage therapy considerations during that time. Recognize the physiological changes to mother and fetus during the third trimester as well as the common complaints and massage therapy considerations during that time. Identify pre-labor physical changes and explain the importance of perineal massage and Kegel exercises. Demonstrate appropriate bodywork techniques for the common discomforts of pregnancy such as backaches, breast soreness, headaches, leg cramps, sciatica, symphysis pubis separation, abdominal pressure, constipation, esophageal reflux, fatigue, heartburn, hemorrhoids, insomnia, morning sickness and varicose veins. Express the physiology of multiples pregnancies and recognize the risk factors. Name the physiological stages of labor and the factors involved in cesarean section. Discuss the effects of epidural anesthesia. Demonstrate the techniques to start or speed up a prolonged labor. Demonstrate appropriate massage therapy techniques to be used during each stage of labor. Identify the dynamic physiological processes that occur after labor; within the first few hours, within days, and within weeks of postpartum recovery. Demonstrate the massage techniques that are appropriate during each stage of the postpartum recovery time period. Explain the recovery process for women who have had a vaginal birth vs. a cesarean section. Paraphrase the grief and bereavement process of women who suffered miscarriages or stillbirths. Predict the process of role adjustment for the mother and adjustment for the whole family. 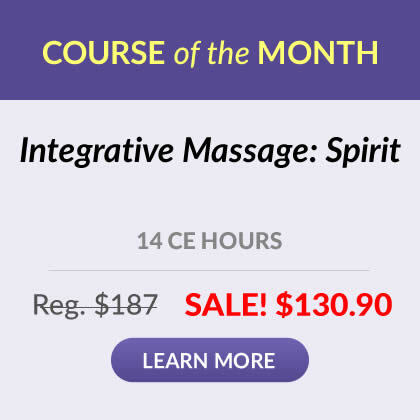 Give examples of effective marketing techniques to use in building a prenatal massage practice.